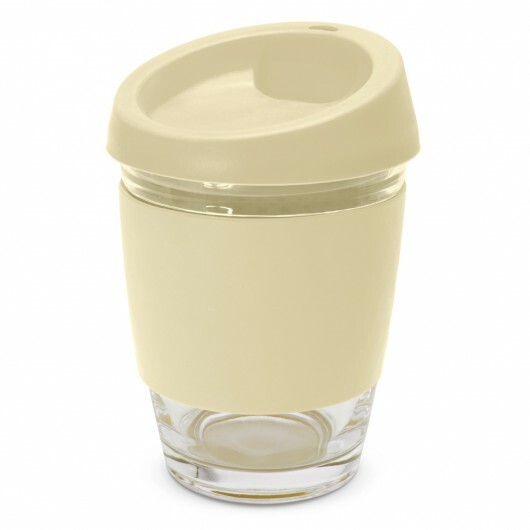 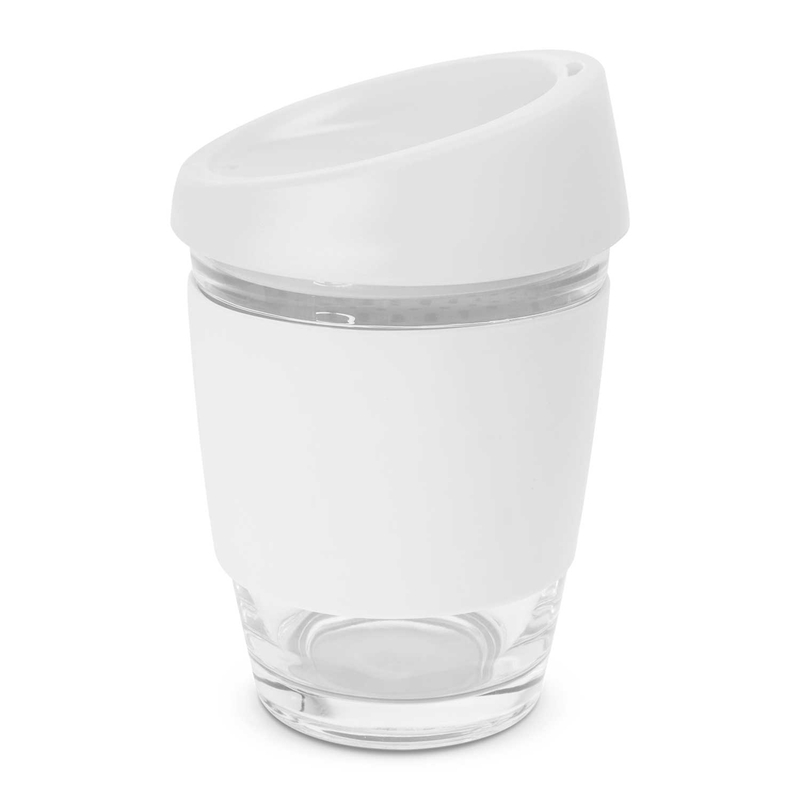 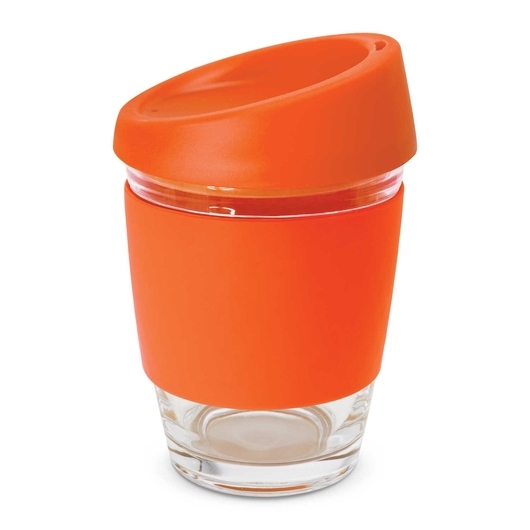 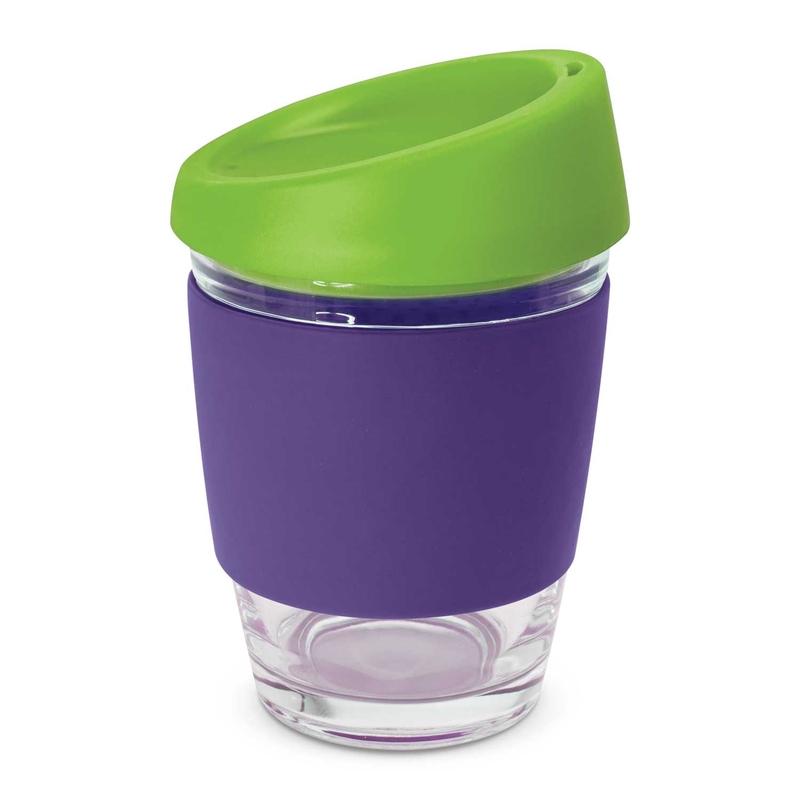 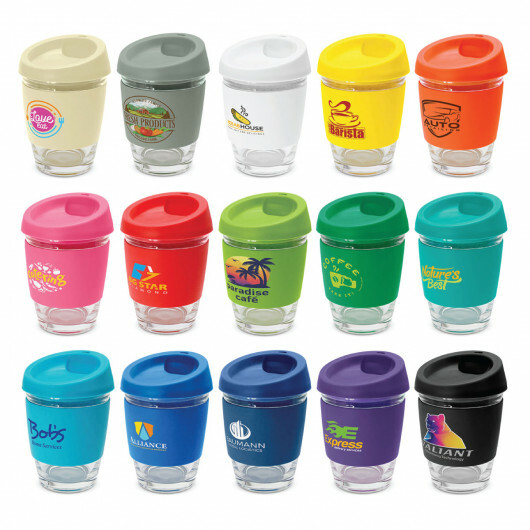 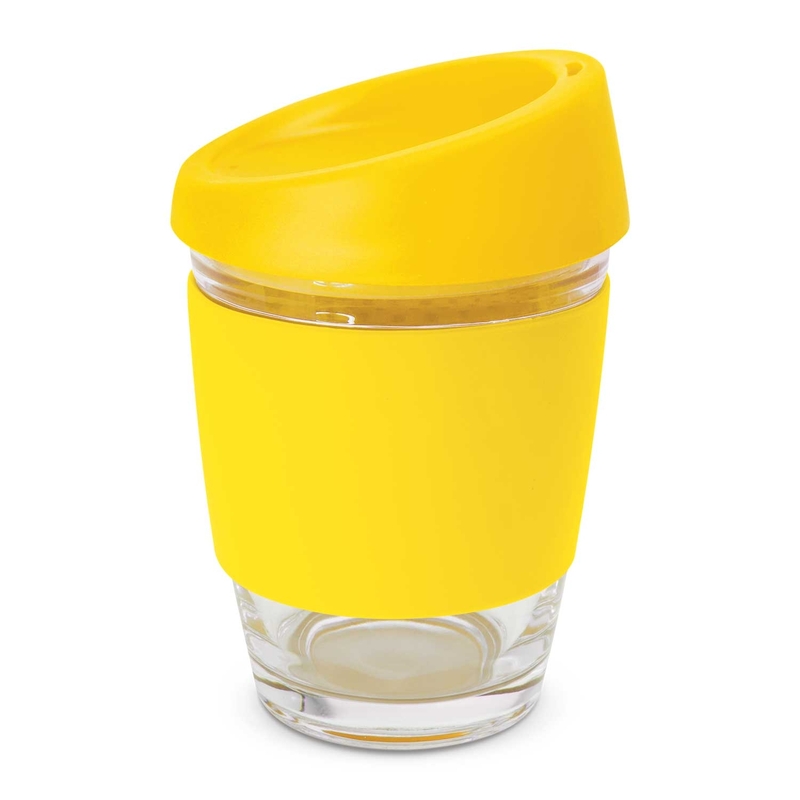 One of our newest Eco cups, featuring a glass build and colour combo lids and bands! Turn heads when you enjoy your favourite coffee with the help of these high quality glass Eco cups. Fashion inspired and can be reused over and over again, they utilise a secure push on silicone lid and a wide heat resistant silicone band. 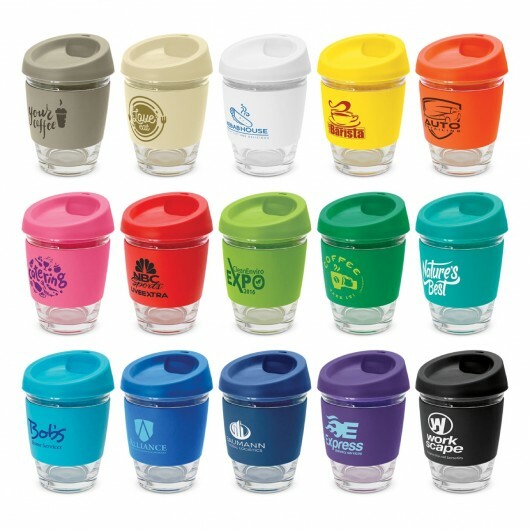 You can mix and match colours on the lid and band to make up to 196 different colour combos, so you can select a combo that best compliments your logo! 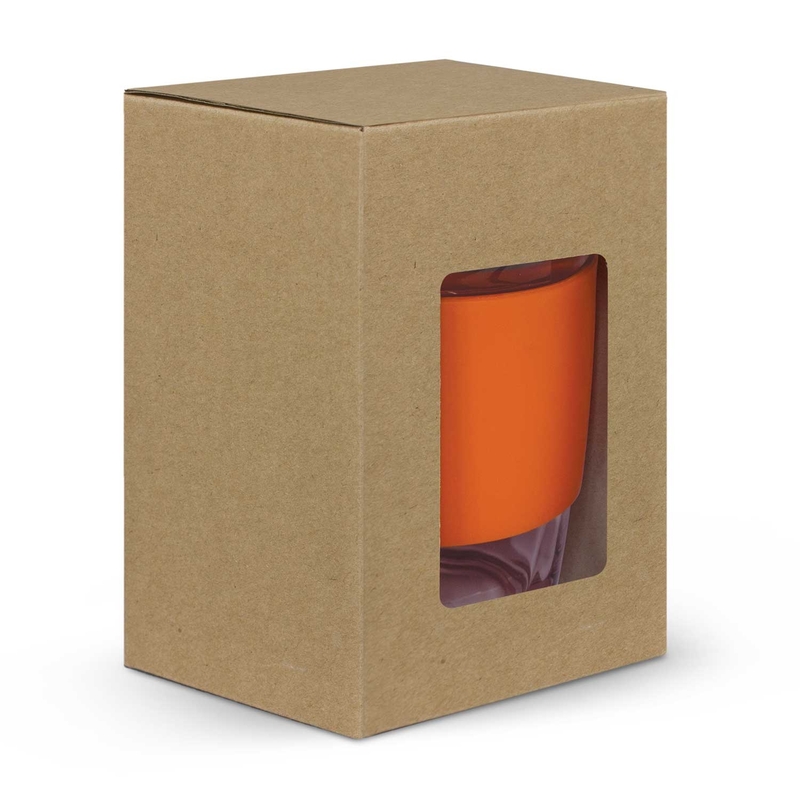 They also come presented in an unbleached cardboard gift box with a window to show the branding and product care instructions on one side.